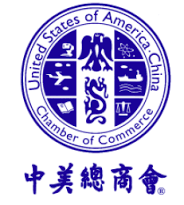 We are pleased to invite you to U.S.-China Chamber of Commerce’s 18th Annual Chinese New Year Dinner to celebrate the beginning of a prosperous and auspicious year. It will be held at Phoenix Restaurant on Friday, February 20, 2015 from at 5:30 p.m. to 9:00 p.m. A traditional Chinese dinner will be served to commemorate this important tradition. The costs are $60 for USCCC members and $80 for non-members.